While the Anglo-Saxon kings of England had the Witenagemot (or Witan) council to advise them on major decisions, the old system was swept away by the Norman conquerors of 1066. William I brought the system of Curia Regis with him, whereby the king would sometimes seek advice from a council of tenants-in-chiefs and church members on proposed laws. With the level of bureaucracy rising in the medieval court (a traditional feature of all Anglo-Saxon governments), around 1126 the king split control of the treasury away from all other duties. The new head of the king's treasury, the Lord High Treasurer, held the third-highest position in the land. This was the post which later became the 'First Lord of the Treasury' and then 'Prime Minister'. The other duties came to be controlled by the 'Lord Great Chamberlain'. Nephew of Roger, bishop of Salisbury. First Lord High Treasurer. Nigel Poor (or Nigel of Ely as he is later known after becoming the bishop of Ely) is appointed Lord High Treasurer by the Norman king, Henry I. He controls the royal treasury for both England and the duchy of Normandy. In 1133 the vacant bishopric of Ely is secured for him by his uncle, Roger of Salisbury, and he is consecrated by Archbishop William de Corbeil. He holds onto his treasury post until 1136 when he is removed by King Stephen. Cousin. Nephew of Roger, bishop of Salisbury. There is no recorded treasurer for the period of the Anarchy or civil war between Stephen and Matilda in Norman England. Nigel is reconciled with Stephen in 1145, and from 1147 he witnesses charters for the king on an occasional basis. There is no record of him being involved in treasury affairs, but he does witness the charter that leaves England to the son of Matilda, Henry Plantagenet. 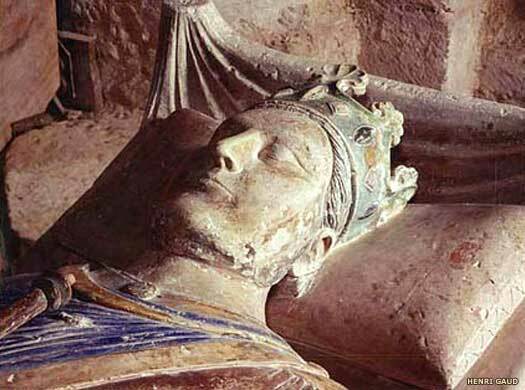 A century and-a-half of monarchical dominance saw little reform until the reign of the Plantagenet King John (1199-1216). When the barons rebelled in 1215 and forced John to sign Magna Carta, they set the founding principles for parliament and constitution, even though at the time they were merely guarding their own interests. Magna Carta defined rights, legal practices, and 'good lordship' - what subjects could expect from their monarch and superiors. When Edward I summoned his Model Parliament in 1295 he set the pattern for the rule of kings for the next four centuries. These early Parliaments were not merely at the monarch's disposal, and would not always enact the legislation set before them. Nigel is present at the coronation of Henry II Plantagenet and is then summoned to reorganise the exchequer. In about 1158 Nigel pays the king to appoint his son in his place. Son. Dean of Lincoln and bishop of London (1189). Richard is appointed bishop of London in 1189, but continues to serve as the king's treasurer until he is removed in 1196 and replaced with William of Ely, another relative. John returns to England after being defeated at the Battle of Bouvines in 1214 and is forced to sign Magna Carta by the disaffected barons on 15 June 1215. There is no first lord for two years after this, but following the appointment of Eustace of Fauconberg in 1217, the post becomes a more permanent one. Canon of St Paul's & Bishop of Coventry (1239-1241). 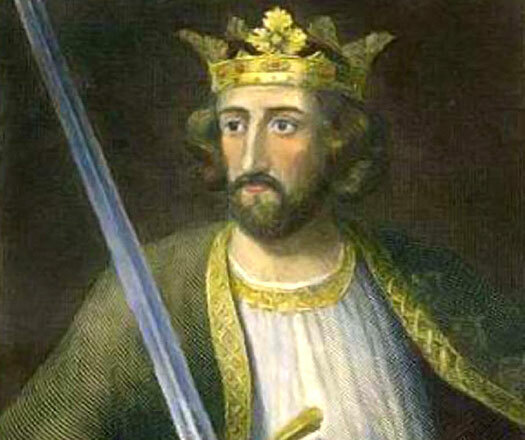 Despairing over Henry III Plantagenet's increasingly autocratic rule, seven leading barons force him to swear an oath on the Provisions of Oxford. This serves to abolish absolutist Anglo-Norman monarchy. Instead, a council of fifteen barons deals with the government's business. Held the post 6 May-19 July. Bishop of Worcester (1266-1268). Prior of St Radegund. Held the post July-November. Acting First Lord High Treasurer. Held the post in November. Acting First Lord High Treasurer. Held the post 30 Nov-3 Nov.
Second term. Bishop of London (1273-1280). Prior of the Knights of St John in England. Kirkby is probably the architect of reforms to the treasury which include updated book-keeping methods, improved debt collection, and information on sources of income. Bishop of Bath & Wells (1293-1302). Dismissed. Acting First Lord High Treasurer. Bishop of Coventry & Lichfield. Just a little over five weeks after Walter Langton becomes First Lord High Treasurer, Edward I Plantagenet summons the Model Parliament on 13 November, generally regarded as the first representative assembly. Bishop of Worcester. Later archbishop of Canterbury (1314-27). Provost of Wells. Later Bishop of Winchester (1316-1319). Second term. Held the post 23 Jan-17 May. Second term. Held the post 17 May-4 Oct.
Canon of St Paul's & Hereford. Held the post 10 Jun-16 Nov.
Bishop of Winchester. Third term. Acting First Lord High Treasurer. Fourth term. Acting First Lord High Treasurer. Fifth term. Stapledon is associated in the popular mind with the misdeeds of Edward II Plantagenet. 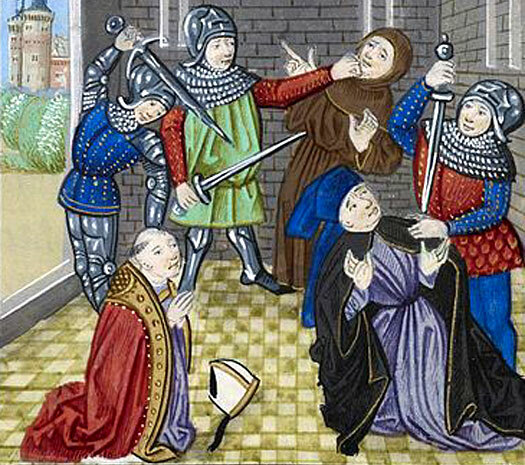 After the king flees before the advancing troops of Queen Isabella, Stapledon is murdered in London on 15 October 1326. The subsequent period is an unstable one as Edward II is mysteriously killed and Edward III overthrows Isabella. Bishop of Winchester. Later archbishop of Canterbury (1333-48). Bishop of Hereford (1333-1345). Held the post 28 Jan-28 Mar. Edward III Plantagenet overthrows Isabella and her lover, Roger Mortimer, and gains the throne. Resigned. Bishop of Durham (1333-1345). Dean of York. Later archbishop of York (1342-1352). Held the post 5 May-26 Jun. Bishop of Coventry & Lichfield (1321-58). Held post 26 Jun-1 Dec.
Held the post 15 Jan-20 Oct. The separation of Edward III Plantagenet's Parliament into two 'houses' or chambers occurs when the Commons meet separately from the Lords for the first time. By now the treasury is under great strain due to the costs of the early part of the Hundred Years' War. Bishop of Ely. Later archbishop of Canterbury (1366-1368). Bishop of Bath & Wells (1363-66). Later bishop of Ely (1366-73). Former First Lord High Treasurer William Edington is elected archbishop of Canterbury by Edward III Plantagenet, but he declines due to ill health. First Baron Scrope of Bolton. Bishop of Worcester (1375-1395). Held the post 14 Jan-19 Jul. Prior of the Order of St John in England. Responsible for the much-hated poll tax, Hales is beheaded on 14 June on Tower Hill during the Peasants Revolt, along with Simon Sudbury, the archbishop of Canterbury. Bishop of Durham (1382-1388). Held the post 17 Jan-24 Oct.
Second term. Held the post 4 May-20 Aug.
Bishop of St David's (1389-1397). Second term. Became archbishop of Canterbury in 1398. Bishop of St David's (1397-1407). Son of Richard Scrope. First Earl of Wiltshire. Closely involved with Richard II Plantagenet, and effective head of his government during the king's absence, William Scrope is executed by Henry IV of Lancaster after his successful invasion of England. With the accession of the censorial and oppressive king Henry IV of Lancaster, the post of Lord High Treasurer continued its recent high turnover rate. No less than twenty-four incumbents held the post in the fifty-six years between Henry's coup in 1399 to the beginning of the Wars of the Roses in 1455. Bishop of Bath & Wells. Held the post 27 Feb-25 Oct. The Commons are given power over taxation, and is usually called only when the monarch needs to raise money through taxes. Third Baron Scrope of Masham. Executed for treason. Full equality of the Commons and Lords is established, and the following year the First Serjeant at Arms, Nicholas Maudit, is appointed. 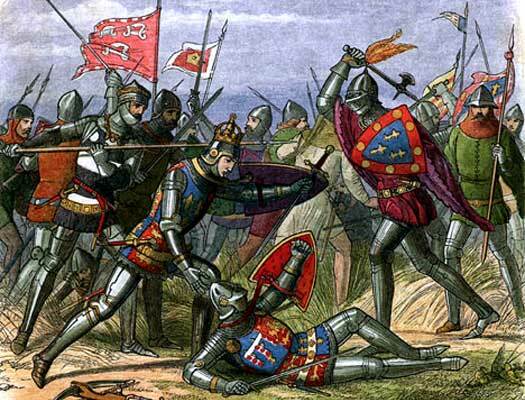 King Henry's much smaller army wins a startling victory at Agincourt in 1415, despite being outnumbered by the 'flower of French chivalry'. Held the post 10 Jan-13 Apr. Held the post 17 Apr-23 Nov.
Dean of St Martin's le-Grand. Bishop of Bath and Wells. Fourth Baron Scrope of Masham. First Baron Saye and Sele. First Baron Beauchamp of Powick. Son of Sir John Tiptoft (1408). First Earl of Worcester. The Wars of the Roses begin with Richard, Duke of York's victory at the Battle of St Albans. Lancastrians are pitched against Yorkists in England for the next thirty years. Fifth Earl Ormond & First of Wiltshire. Held post 15 Mar-29 May. First Viscount Bourchier. Great-grandson of Edward III. Second term. Now also First Earl of Essex. The change in regime in England between the houses of Lancaster and York witnesses a more peaceful handover of power in Parliament than previously. 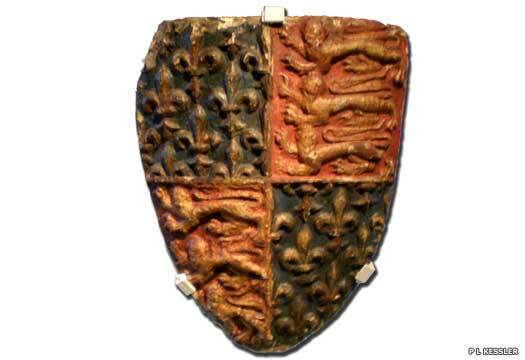 The first High Treasurer of the Yorkist reign, John Tiptoft, returned from pilgrimage to England in 1461 and received the Order of the Garter from Edward IV of York. However, he presided over the executions of Lancastrians with exceptional cruelty, having them beheaded, quartered, and impaled. First Baron Grey de Ruthin. Held the post 16 Aug-25 Oct.
Third term. Held the post 10 Jul-18 Oct. The Wars of the Roses came to an end in 1485 with the accession of Henry VIII (although there would be occasional flare-ups until 1499). The old order was swept away and a new series of powerful and influential High Treasurers involved themselves freely in the monarch's affairs, playing powerful political games and increasing their own influence and position in the Tudor court. One of the best known, Thomas Howard, third duke of Norfolk, was uncle to Henry VIII's wives, Anne Boleyn and Catherine Howard, and he used both of them to increase his own influence at court. He also played a role in securing the throne for the Catholic Mary Tudor. The Lords meet in the Parliament chamber. By this time, the Tudor monarchs are consolidating a state of affairs whereby they call and close Parliament as and when they need it, primarily for raising taxes. For the first time (as far as is known) the Speaker, Thomas More, requests free speech. Son. Third Duke of Norfolk. Wales is represented in the House of Commons for the first time as part of the stipulation of the first of two Acts of Union. The second of the Acts of Union is passed whereby the legal system in use in Wales is annexed to that of England. English law prevails in Wales as part of the intended creation of a single state. The term 'House of Lords' is first used to describe the Upper Chamber. The Lower Chamber becomes known as the Commons. In 1548 the House of Commons is granted a regular meeting place by Henry VIII Tudor in the form of St Stephen's Chapel, which had previously been a royal chapel. The chapel remains in use (albeit in greatly altered form) until it is destroyed by fire in 1834, but the tradition of sitting on the chapel's choir stalls is established and is still in force today. In her first Parliament, Mary Tudor passes legislation declaring the marriage of Henry VIII and Katherine of Aragon valid and herself legitimate (incidentally bastardising younger sister Elizabeth for the second time in her life). A year later, the English Papal legate, Reginald Pole, addresses Parliament in the presence of Mary and her Spanish husband. He counsels the English on the error they have made in embracing Protestantism and welcomes them back to Catholicism with open arms. Just two years later he is created archbishop of Canterbury. The pilgrims of the Mayflower are not the first English settlers in the New World, but they are among the first to survive the ordeal. Sir Humphrey Gilbert claims the first English base in Newfoundland, comprising mainly Portuguese and French fishing villages, but he sinks with his ship in a storm before making it home. Almost straight away, the tensions between Catholics and Protestants in England made themselves known in the boldest possible way. In 1605, Catholic plotters, unhappy with Stuart King James' unsympathetic attitude towards their faith (which he also shared) decided to try and blow up Parliament at the state opening, thereby leaving the way open for a Catholic takeover of Britain. The plot was uncovered well in advance, the protagonists tracked, and the attempt foiled, but the event is still celebrated every year at Bonfire Night, or Guy Fawkes Night, on 5 November. Son of William Cecil. First Earl of Salisbury. From this point forwards, the running of the treasury is frequently entrusted to a commission instead of a single individual. The commissioners are referred to as 'Lords Commissioners of the Treasury', and are given a number based on their seniority. The most senior of them is still the First Lord. First Earl Northampton. First Lord Commissioner of the Treasury. Battling against Parliament's attempts to reign in his vision of absolute monarchy, Charles I Stuart, desperate to raise funds, is still forced to summon Parliament after an eleven year gap. The acrimonious 'Short Parliament' lasts for just three weeks in April before it is dismissed by the king. By November, the king's position has worsened after defeat by the Scots in the Second Bishops' War, and this time the 'Long Parliament' remains in sitting. First Baron Lyttleton of Mounslow. In 1642, Charles I Stuart attempts to arrest five leading Members of the Commons for treason, and the Speaker voices his allegiance to Parliament rather than the monarch. Parliament's cause against Charles has simmered for years while it has continually blocked his attempts to rule absolutely as he believes is his divine right. Now Charles raises his standard, declaring war on a Parliament which is determined to force a confrontation. In 1645 the Royalists are routed at the Battle of Philiphaugh, defeating Charles I's cause in Scotland, and the archbishop of Canterbury, William Laud, is executed at Tower Hill. When Parliament finally wins the war, it realises it doesn't know what kind of rule to offer the country, even going so far as to offer Oliver Cromwell the crown, as the Puritan (extreme Protestant) forces turn Britain into a kind of police state. It also abolishes the House of Lords during the Commonwealth period. In 1557 Parliament offered the Protector Oliver Cromwell the title of king in the 'Humble Petition and Advice'. He rejected it. On 8 May 1660, the year after Cromwell's death, Parliament was proclaiming Charles II the new Stuart king of England. When he returned from exile, the House of Lords also resumed, as did a full Commons, almost as if nothing had happened. First Duke of Albemarle. Died in office. The Commission of the Treasury continues to function without the First Lord for the remainder of its full term. First Lord Clifford of Chudleigh. The Roman Catholic Thomas Clifford finds himself unable to comply with the Test Act of 1673, which places restrictions on Catholics holding high office, and resigns. A few months later he commits suicide. First Earl of Essex. Held the post 26 Mar-21 Nov. Son of Sir Edward Hyde (1660). First Earl of Rochester. Between 1679-1681, Charles II's Lord Chancellor, Anthony Ashley-Cooper, First Earl Shaftesbury, leads the fight to get Parliament to pass an Act of Exclusion which will exclude the Catholic James from gaining the throne. Shaftesbury and his 'Country' supporters organise petitions and fight three elections in intense campaigning which is very well organised. It is this organisation which changes the nature of politics. Shaftesbury has created the first political party in English history: the liberalist Whigs. The gentry, in opposition to him and supporting the king's right to absolute power, become known as the Tories. In fact each party labels the other; Whigs originating with Whiggamores, 'sour, bigoted, money-grubbing' Scotsmen who had marched on Edinburgh just a few years earlier; Tories, or Toraidhe, describes Irish papist bands who had recently ravaged estates and manor houses in Ireland. At the end of this period, in 1681, Parliament meets in Oxford for one week, the last time it meets outside London. Charles II Stuart dissolves it and rules without it for four years until his death, a result of the disagreements between them. The Glorious Revolution which sweeps William III of Orange and Mary II Stuart to power also establishes a Declaration of Rights which is read before Parliament and the joint monarchs on 13 February 1689. This creates a constitutional monarchy and limits the power of the sovereign over Parliament. Held the post 18 Mar-15 Nov.
Also Chancellor of the Exchequer. The last use of a royal veto occurs when Queen Anne refuses to give Royal Assent to the Scottish Militia Bill. Later in the same year, the Union of England and Scotland sees the old parliaments of both nations dissolved and a new, single Parliament formed (1707-2000), meeting for the first time in Great Britain. First Earl of Oxford & Mortimer. First Duke of Shrewsbury. Held the post 30 Jul-13 Oct. The Treasury Commission is made permanent, with the most senior member occupying the position of head of any ministry which governs in the king's name. Following the Union of England and Scotland in 1707, the joint kingdoms were to be ruled from a single Parliament at Westminster in London. This arrangement lasted until 2000, when devolution gave Scotland back a parliament of its own. Already standing as possibly the earliest law-making body in the world, the British Parliament came to be known as the 'Mother of all Parliaments'. The post of First Lord of the Treasury had been entrusted to the most senior member of the commission of treasury lords from 1612 onwards. From 1714 this commission was made permanent, with the first lord being viewed as the natural head of any ministry. In later years, while the post of Prime Minister was usually held by the same individual as the treasury post, this wasn't always the case. The division was especially noticeable in the last two decades of the nineteenth century, but after 1905 the two posts were united as one. The Septennial Act extends the length of Parliaments to seven years. Sunderland is replaced by Sir Robert Walpole who, while not actually recognising the term 'prime minister' himself, fulfils the duties of one. 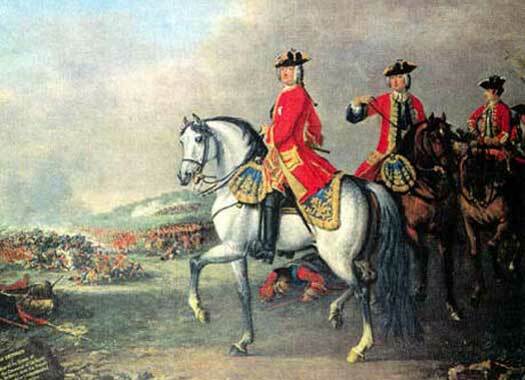 The Hanoverian George I came to the throne in 1714. His poor English and his desire to concentrate more on his European dominions meant he entrusted power in Britain to his ministers, and by 1721 one of the foremost of these was Robert Walpole. In that year he obtained the posts of First Lord of the Treasury (the first, or prime, ministerial post), Chancellor of the Exchequer, and Leader of the House of Commons, and effectively governed from that date (along with Lord Townsend until 1730). However, while he is rightly recognised as the country's first prime minister, it is not a title he would have recognised at the time. In fact it was regarded as a term of abuse, and wouldn't be an accepted title until 1905. Each prime minister was asked by the reigning monarch to form a government, usually once it became clear that he (or she) was the most popular choice (following victory in a general election, for example). 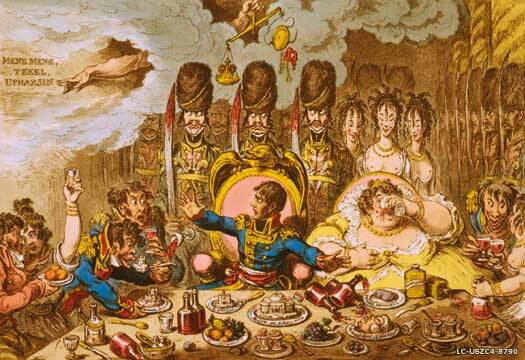 The Whigs were the strongest party (more of a grouping than an organised party in the 1700s). They stood for a constitutional monarchy and were opposed to absolutist rule, which the Tories supported. Walpole, now the favourite of George II of Hanover after many years of hard work, is gifted the new building at 10 Downing Street as his official residence as first lord. He donates the residence to all future first lords (rather than prime ministers). Similarly, 11 Downing Street is the residence of the Second Lord of the Treasury (rather than the Chancellor of the Exchequer, although the two posts are always held by the same individual). A poor showing in a war against Spain in 1739 and a general election in 1741 forces Walpole to resign and move up to the House of Lords. His twenty year term of office is the longest of any 'prime minister'. Whig. A 'stop-gap' PM. Died in office. The War of Jenkins' Ear pitches Britain against Spain between 1739-1748, while King George's War is fought between Britain and France in the French Colonies in 1744-1748, and the First Carnatic War of 1746-1748 involves the struggle for dominance in India by France and Britain. Taking office after a fifty-six day gap following his predecessor's resignation, Pelham is successful in ending the war, achieving peace with France and trade with Spain through the Treaty of Aix-la-Chapelle. Austria is ultimately successful, losing only Silesia to Prussia. Whig. Brother of Henry Pelham. Resigned. Whig. Formed power-sharing coalition with Pitt. Resigned. Whig. Lacklustre PM dominated by Pitt the Elder. Resigned. The first Tory and first Scottish-born MP to hold office, Bute's eleven month term of office ends the Seven Years' War against France. Unpopular because he is a Scot at a time when the Jacobite Rebellion is still fresh in people's minds, he resigns after a spate of verbal and physical attacks upon his person. Whig. Sacked by George III of Hanover. Grenville, unpopular at home with the king and the people, attempts to regain favour by lowering domestic taxes at the expense of the British Colonies, introducing the Stamp Act. The laws give rise to widespread protests in America that eventually boil over into the War for Independence, or Revolutionary War. In fact, a great amount of time over the subsequent decade is given over to the discussion of just how to treat the colonies, none of it entirely effective. Best known as the man who loses [some of] the British Colonies in North America, Lord North serves for a disastrous twelve years in office. Entering into the war with the king's support, and the king's direction as to the military campaigns in the colonies, he makes tactical errors that leads to heavy British losses, including the defeats to US forces at Saratoga in 1777 and Yorktown in 1781. At home in 1780, anti-Catholic unrest known as the Gordon Riots breaks out in London, with rioters agitating for the repeal of the Catholic Relief Act. North watches the riots from his home at 10 Downing Street. Tory. Resigned over the king's interference. During both of his two brief terms of office, Portland insists he is a Whig, despite heading a Tory government. Tory. Son of Pitt the Elder. Youngest PM. Resigned. The India Act establishes dual control of the East India Company, and centralises British rule in India by reducing the power of the governors of Bombay and Madras and increasing that of the position of governor-general. John Palmer of Bristol sees his suggestion for the establishment of a mail coach system being taken up by William Pitt at the suggestion of Lord Camden. These provide a more speedy and cost-effective system of transport for the post than with the previous system. The country is placed on a semi-war footing following the French Revolution. Britain finds itself at war with France almost continuously for the next three decades, and real fears soon emerge that the 350-mile Essex coastline is being earmarked for invasion. The Act of Union with Ireland is passed on 1 January, creating the United Kingdom of Great Britain and Ireland. The Irish Parliament is dissolved (1801-1923). A hundred Irish MPs enter the House of Commons, and Irish Peers elect representatives from among their number to sit in the Lords. Tory. The first middle class PM. Resigned. Whig. Son of George Grenville (1763). Resigned. Whig. Coalition partner. Died in office. Grenville reluctantly forms a cross-party alliance of MPs which becomes known as the 'Ministry of all The Talents'. It is a coalition between Grenville's supporters, the Foxite Whigs, and the supporters of former Prime Minister Henry Addington (now Lord Sidmouth). Grenville, as First Lord of the Treasury, and Fox, as Foreign Secretary, are joint leaders. Grenville's ministry is mostly unsuccessful, failing to make peace with France or to accomplish Catholic emancipation. It does, though, result in one momentous achievement - the abolition of the slave trade in 1807. Aside from its positive effects, this also has negative effects, notably in the African kingdom of Asante. Spenser Perceval becomes the only serving PM to be assassinated when he is shot in the House of Commons by businessman John Bellingham, a merchant who has incurred business debts in Russia. Attempts to recover compensation from the government for his losses have already been refused, so he seeks revenge. Tory. One of the youngest leaders. Resigned through ill health. A crackdown on liberty following the Peterloo Massacre in Manchester in 1819 prompts an attempt by radicals to murder Liverpool and his Cabinet and start a radical revolution. However, the Cato Street Conspiracy, as it becomes known, proves unsuccessful, and the conspirators are hung or transported. Britain abolishes the African Company of Merchants and seizes privately held land along the West African coast, incorporating it into the Gold Coast colony. Suddenly the regional power, Asante, is forced to recognise that it is not the only major power in the region and the two begin an unspoken struggle for superiority. As far as Britain is concerned, the formalisation of the Gold Coast colony not only helps to keep the competing French and their Ivory Coast territory from expanding eastwards, but also gives Britain a foothold in influencing Asante's affairs. Only grass and bush separates the French West Africa territories to the north from Asante, and the kingdom of Dahomey borders Asante to the east so the French focus their attentions here instead. Tory. Died in office after the shortest term as PM. Whig. Coalition partner. Son of PM Earl Shelburne (1782). Sir Arthur Wellesley, brother of Richard, once governor-general of British-administered India, is the hero of the Battle of Waterloo and the Peninsula War in Spain against imperial France, for which he had been created duke of Wellington in 1815. Now, also known as the 'Iron Duke', he succeeds in passing the Catholic Emancipation Bill. Sir Arthur Wellesley shakes the hand of MP William Husskisson as the two heal a long-standing rift during the very first run of the Manchester to Liverpool railway service. Seconds later, Husskisson becomes the world's first victim of a railway accident. In the same year, the first passenger-carrying railway in the south of England opens. The Canterbury & Whitstable Railway consists of several innovations, including the world's first passenger-carrying railway bridge (demolished 1969) and footpath tunnel (which still survives, albeit not in a fully preserved and protected condition). It is the first of a torrent of new railway lines to be built over the next thirty years or so, heralding the golden age of railways. Earl Grey's most remarkable achievement is the Reform Act, which sets in train a gradual process of electoral change. Around 130 years of parliamentary reform begin with this act and culminates in universal suffrage for men and women over the age of eighteen, plus secret ballots and legitimate constituencies. Grey also introduces restrictions on the employment of children, and sees the abolition of slavery in the British empire in 1833. Today he is more famous for the mixture of tea flavoured with bergamot oil which is named after him (he is also featured heavily in the 2008 film, The Duchess). Fire destroys most of Parliament. 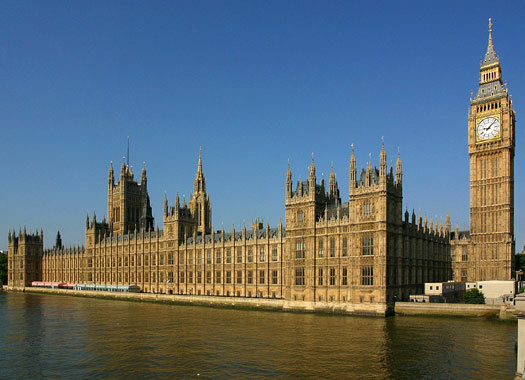 The rebuilding of the Houses of Parliament, within the Palace of Westminster, in the design known today is completed by 1870. Tory. Listed, although he refused the invitation to become PM. Tory. PM for five months. Melbourne is Victoria of Saxe-Coburg's first prime minister, and she trusts him greatly. Their close relationship is founded in his responsibility for tutoring her in the world of politics and instructing her in her role. Peel's period in government - as prime minister and in other offices - is a milestone for social reform. Landmark legislation cuts working hours for women and children, creates cheap and regular rail services, and reorganises the policing of London, changing society in radical ways. His other major achievement - repealing the Corn Laws in 1846 - splits his party, but earns him lasting popular fame for his humanitarian gesture. George Maclean's time in office as governor of the Gold Coast territory for the British African Company of Merchants has been so successful for peaceful relations and trade that a Parliamentary committee has recommended that the British government permanently administer its settlements and negotiate treaties with the coastal chiefs that will define Britain's relations with them. The government does this now, reinstating crown government. Commander Henry Worsley Hill is appointed the first 'proper' governor of the Gold Coast. The Conservative party is an evolution of the Tories, although it is a term that is not universally used at first. The earl of Derby is regarded as the father of the modern Conservative Party, and the term 'Tory' is still interchangeable with 'Conservative' today. Aberdeen is effectively blamed for failings when Britain and France join the Ottoman empire in the Crimean War against Russia. Tory. Once out of office he forms the Liberal Party in 1859. Responding successfully to the Indian Mutiny of 1857, Palmerston supports a lenient approach in the face of British calls for hard treatment. In February 1858 he introduces the Government of India Bill to transfer the administration of India from the East India Company to the Crown. Later the same year, the Great Stink seeps into the Palace of Westminster and forces Benjamin Disraeli to run from the chamber. A program of sewer building is instigated right away, being completed by Sir Joseph Bazalgette in 1869. A coalition of Whigs has been evolving into the Liberal party since 1852 under Lord Aberdeen, but Viscount Palmerston formalises the arrangement, creating the Liberal party. As its leader he returns to office just a few days later as the first Liberal PM. The term 'Liberal' is first used to describe the party in 1868. He is succeeded by the last of the old Whigs not to be part of the coalition. Whig. Formerly Lord John Russell (1846). Resigned. Upper and Lower Canada are united with Nova Scotia and New Brunswick on 1 July under the Britain North America Act. By enacting this, Parliament creates the dominion of Canada. Derby's third term in office is responsible for the landmark Second Reform Bill of 1867, a milestone in the democratisation of Britain. His successor, Disraeli, strikes up a remarkable rapport with Victoria of Saxe-Coburg, while in Parliament he faces William Gladstone across the Dispatch Box, a match that becomes Britain's most famous parliamentary rivalry. The queen dislikes Gladstone as much as she likes Disraeli. The contrast in their physical appearances and their styles is stark, and the animosity between them is strong. Conservative. Earl of Beaconsfield in 1876. Gladstone's Liberal government passes the Sunday Closing (Wales) Act 1881, which bans the sale of alcohol in Welsh pubs on the Sabbath. It is an act that will change the culture, politics, and even the architecture of Wales for over a century. Sponsored by prominent Welsh nonconformists in the Liberal party, such as future Prime Minister David Lloyd George, the act is not repealed until 1961. It is also the first piece of Wales-only legislation passed by Westminster since the 1542 Act of Union, and is the first recognition in law of a distinct Welsh identity. The Irish Republican Brotherhood launches a bombing campaign in mainland Britain, known as the Fenian Dynamite Campaign. It is aimed mainly at military, governmental, and police targets but one attack on London's underground railway network on 30 October 1883 injures seventy people at Praed Street Station (Paddington). Gladstone returns to power in coalition with Irish Nationalists with 'Home Rule' (devolution) for Ireland still the dominant issue. The bill splits the Liberals and Gladstone resigns. He loses the resulting general election when the 'Liberal Unionists' - those who want Ireland to be ruled from Westminster - break away from Gladstone's Liberals to fight as a separate party. Most Liberal Unionists are of the 'Whig' or propertied faction of the party, so when they go they take most of the money with them. Conservative. Resigned. Last serving PM to sit in the Lords. The Boer War breaks out in South Africa in 1899, splitting the Cabinet and leading to Salisbury's resignation. Conservative. Nephew of Salisbury. Resigned. First used in a royal warrant, the term 'prime minister' is now officially recognised to describe the leader of the government. Liberal. Resigned but died in 10 Downing Street. At the start of his ministry, Asquith's government ushers in some of the predecessors of the Welfare State. Old Age Pensions are introduced and Unemployment Exchanges (job centres) are set up. David Lloyd George's attempt in 1909 to introduce a budget which taxes the rich is blocked by the House of Lords, leading to two general elections in 1910. The Liberals win with a 'peers against the people' campaign slogan. The budget is passed and, in 1911, the Parliament Act becomes law. The Act states that the Lords can only veto a Commons bill twice, and institutes five-yearly general elections. Liberal. 'The Welsh Wizard,' or 'The Goat'. The 'Balfour Declaration' gives British backing for 'a national home for Jewish people' in Palestine. Lloyd George wins the election by a huge majority in 1918, following his successful handling of the last years of the First World War. It is the first election in which any women are allowed to vote, thanks to the 1918 Representation Act. 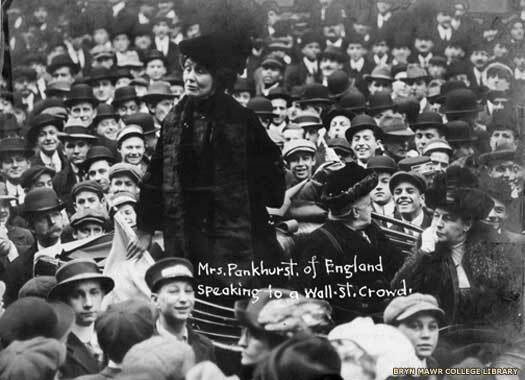 It is also the first to return a woman as a member of parliament; Constance Markiewicz, elected for Dublin St Patrick as one of seventy-three Sinn Fein MPs who all refuse to take up their seats in the Commons. On 29 November 1919 the first female member of parliament to take up her seat is American-born Lady Nancy Astor. However, the later years of the Lloyd George government are beset by problems. The Liberal party never runs the government again, being demoted to the country's third party behind the Conservatives and the new Labour party which has been born out of the trade union movement. Conservative. Canadian-born son of a Scottish clergyman. Conservative. Resigned after losing the election. Ramsay MacDonald's first ever Labour government has a small majority in the House but it is destroyed during the subsequent election campaign when a newspaper publishes the notorious 'Zinoviev' letter. Although later accepted to be a fraud, the letter ruins MacDonald's anti-Communist credentials. Faced by the General Strike in May 1926, the only one in British history, Baldwin's combination of firmness and conciliation ensures its defeat. Famous for just one political act, Chamberlain meets German chancellor Adolf Hitler in Munich in 1938. The result of the meeting is an agreement that Britain and Germany will never again go to war. 'I believe,' he declares on his return to Britain, 'it is peace for our time.' However, the success of 'appeasement' is short-lived. Hitler occupies Prague the following year. The subsequent invasion of Poland forces Chamberlain's hand, and he declares war on 3 September 1939. The Irish Republican Army (IRA) conducts the S-Plan (Sabotage Campaign, otherwise known as the England Campaign). They carry out bombings and acts of sabotage against the United Kingdom's civil, economic, and military infrastructure, beginning in January 1939. The introduction of wartime restrictions and increased security serve to dilute the Irish efforts, and they peter out after March 1940. The sitting governor-general of Canada, the earl of Athlone and his wife, Princess Alice, host Canadian Prime Minister Mackenzie King, British Prime Minister Winston Churchill, and United States President Franklin D Roosevelt at La Citadelle in Québec on two separate occasions in 1943 and 1944. These meetings, known as the Quebec Conferences, help to decide the strategies of the Western Allies, which eventually lead to victory over Nazi Germany and Japan in 1945. The Attlee government institutes a remarkable social and economic programme characterised by radicalism: the foundation of the National Health Service; the nationalisation of heavy industries and the Bank of England; a huge building programme; and a new national insurance scheme. In international affairs, the government oversees the dismantling of empire, the Berlin airlift during the Russian blockade of the city in 1948-1949, and the formation of Nato. Conservative. Resigned due to ill health. Some elements of Scottish society takes umbrage at one specific detail of the impending coronation of Elizabeth Windsor. As there had never been an Elizabeth I of Scotland, there could hardly be an Elizabeth II now. The rector of the University of Glasgow, John MacCormick launches a legal challenge against Elizabeth's right to use 'the second' in Scotland, but this fails. It is Winston Churchill who comes up with a compromise. Any future monarch of England and Scotland should use the highest applicable numbering in both countries combined, so that a King James would be James VIII (following on from Scotland's James VII) and a Henry would be Henry IX (following on from England's Henry VIII). Macmillan, known for his quote, 'you've never had it so good', finds his government fatally tainted by the 'Profumo Affair' which links showgirl Christine Keeler to Secretary of State for War John Profumo and the Soviet naval attaché to London (as depicted in the film, Scandal). Douglas-Home is the only peer to take advantage of a recent change in the law which allows hereditary peers to disclaim (or 'drop') their titles, which in turn means they are able to become members of parliament. Formerly the Fourteenth Earl of Home, Douglas-Home assumes office when Harold Macmillan retires due to ill health. He is also the last PM to be 'selected' as leader of the Conservatives by the monarch (therefore giving her a say in who becomes prime minister). From this point on, the Conservative Party chooses its leaders through internal voting. The United Kingdom becomes a fully-fledged member of the European Economic Community. Ireland and Denmark also join Britain in becoming the newest members of the community, bringing the total number of member states to nine. Prime Minister Edward Heath is optimistic that Britain's membership of the community will bring prosperity to the country. Membership applications by the UK to join the EEC have been refused in 1963 and 1967, ostensibly because the French president at the time, Charles de Gaulle, had doubted the UK's political will. It is understood, however, that his real fear had been that English will suddenly become the common language of the community - which subsequently proves to be the case. The 'Winter of Discontent' sees mass strikes, household waste collected into small mountains in public parks, and a general damaging of the government's reputation. Callaghan is forced to hold a general election in 1979, which he loses. Conservative. First woman PM. 'The Iron Lady'. One of Thatcher's most memorable acts is the leading of Britain through a successful Falklands War against Argentina. She wins a second term of office largely on the strength of this. However, her imposition of the 'poll tax' on individuals rather than householders brings about widespread public disobedience and greatly damages her reputation. Labour. Leader of the so-called 'New Labour' modernised party. Devolution gives Scotland back a parliament of its own to handle its internal affairs. Labour. Former chancellor for ten years. Following a catastrophic world financial collapse in 2008-2009, and the resultant economic depression, the popularity of the New Labour government, and especially with Gordon Brown as unelected prime minister, is relatively low. The general election on 6 May 2010 sees the Conservatives win the most seats, but not enough to gain a majority, resulting in a hung parliament. Several days of meetings between the various parties follow, but when it becomes clear that Labour is too inflexible to make a Liberal Democrat-Labour alliance work, it is the Conservative-Liberal Democrat alliance which becomes a reality. A formal coalition government, the first since the Second World War, is headed by the Conservative party leader, David Cameron, the youngest prime minister since the earl of Liverpool in 1812, and sees Liberals sharing elements of power for the first time since 1922. Conservative, heading a coalition government. Liberal Democrat. Coalition partner and deputy prime minister. 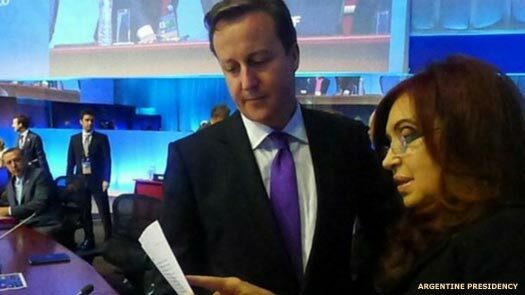 The rumbling discontent by Argentina over the ownership of the Falkland Islands sparks further controversy. Argentine President Cristina Kirchner has long been known to be using the issue to mask her growing unpopularity at home during the thirtieth anniversary of the war to expel Argentine troops from the island. Despite repeated assurances by the islands' residents themselves that they are quite happy to remain British, Kirchner ignores them completely, instead attempting to score political points and garner support amongst likeminded governments. 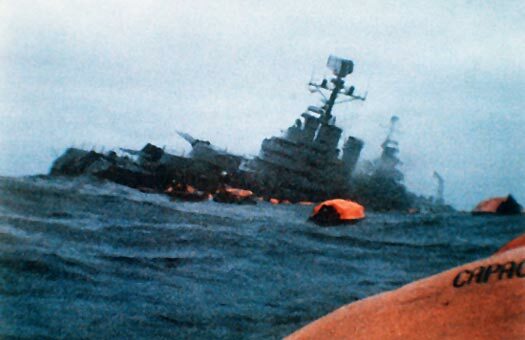 However, Argentina's military power is so weak after years of cut-backs and purges that it is unable to offer a convincing military threat to the islanders' independence. Conservative, heading a small majority government. The UK decides to isolate itself from the largest single trading market in the world by voting by a slim majority to leave the European Union. The vote on 23 June results in the prime minister, David Cameron, resigning his position as the defeated leader of the 'remain' campaign. Several million EU citizens who live and work in the UK - as well as millions who work with EU businesses from the UK - are left with years of uncertainty about their futures while Scotland plans a new independence referendum with a view to reapplying for EU membership. Subsequent confusion within both leading political parties leaves Labour looking fractured and weak as Jeremy Corbyn's half-hearted leadership faces a challenge. For the Conservatives, a vicious leadership election battle sees several 'big' names fall, During the second round of voting, the inexperienced Andrea Leadsom pulls out, leaving Theresa May as the only remaining candidate. She takes up the post of prime minister on Wednesday 13 July 2016. Conservative, initially heading a small majority government. With a small majority in parliament, and facing opposition on all sides for her hard-line stance on exiting the European Union, Theresa May realises that she will have a huge amount of trouble pushing through her demands for complete separation from European institutions (known colloquially as 'Brexit'). On 18 April she announces a snap election for June, banking on the hope that she will win a clear and dominant majority in parliament. Quite the opposite occurs, with a hung parliament being delivered. May moves to form a minority government which is greatly weakened in terms of its Brexit negotiating position. Now it has to rely on Northern Irish allies, the DUP, to have a majority in parliament. Despite this, the May message shows no signs of softening and two years of parliamentary chaos follows as the Brexit debate crawls painfully towards its conclusion.